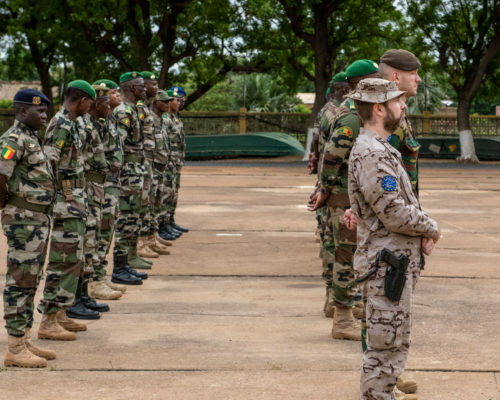 As part of the holistic approach of training inside the EUTM Mali, the seventh Company Commander’s Course for officers of the Malian Armed Forces (MaAF) has been held at the Koulikoro Training Camp. 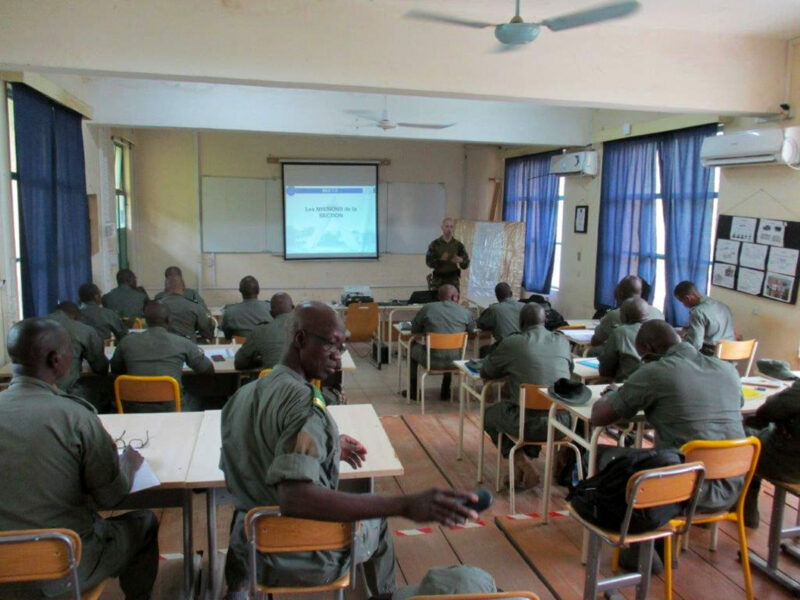 During twelve weeks, twenty officers (lieutenants and captains) from all branches and services of the MaAF have followed what can be considered one of the most demanding courses delivered by the EUTM Mali. 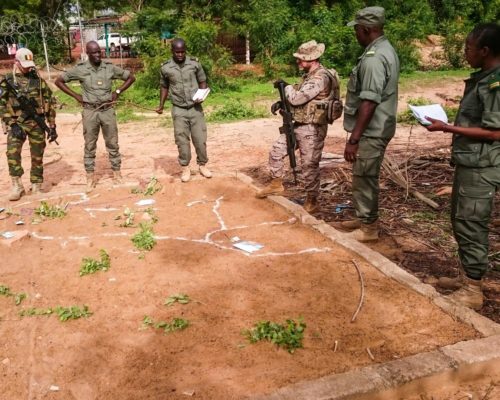 During this course, the trainees faced not only a thorough study of the skills needed to command an infantry company in combat situations, but also all those related to the daily duties of a commander. 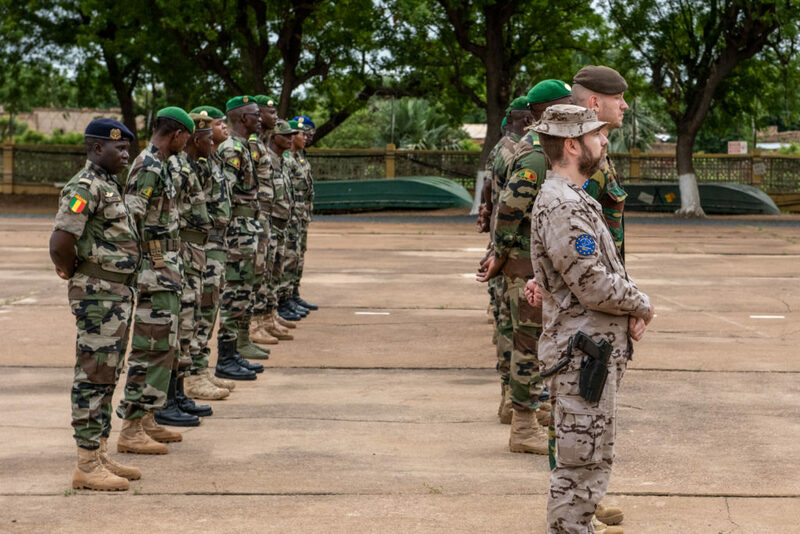 Consequently, the training comprised tactical training in all the types of military operations that the MaAF can conduct: defensive, offensive, stabilization and urban terrain operations. This training qualifies the students to assess, plan and perform any mission to be carried out at a company level in any given condition and terrain. 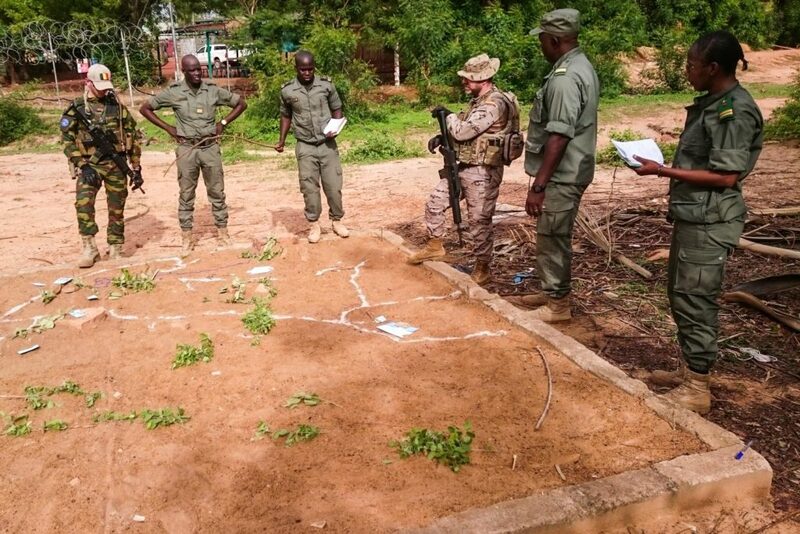 Besides the planning methodology, another important aspect of the course was the procedures used to deliver an operation order (OPORD), using visual aids such as sketches or sand boxes. 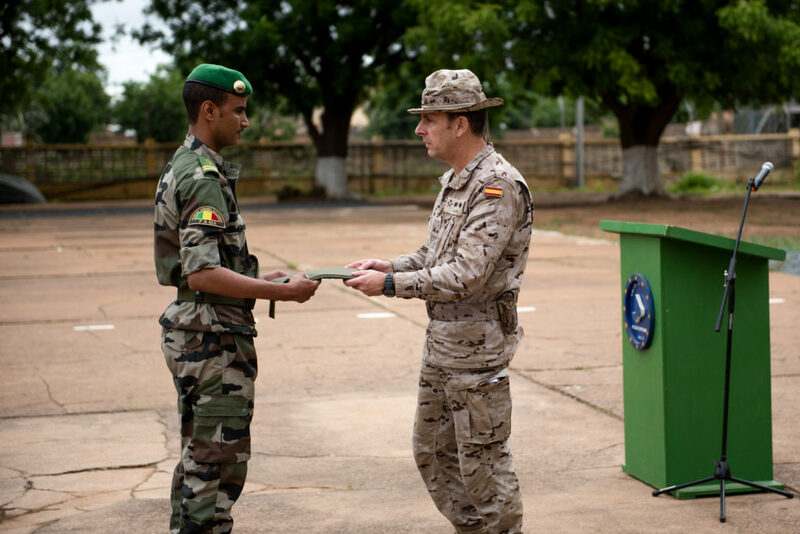 Furthermore, the course included other enabling topics to ensure the tactical success of the Malian officers trained. 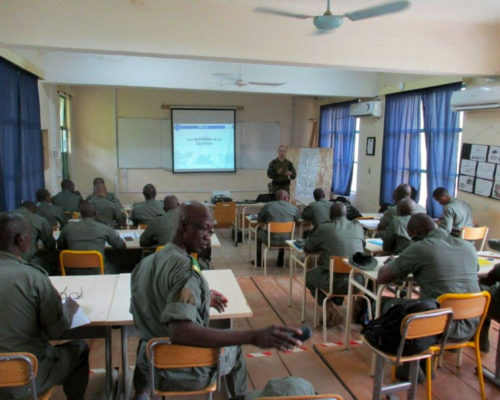 Some of these topics are: leadership, topography and GPS handling, medical care and evacuation protocols, signals and radio procedures, counter IED techniques and procedures. 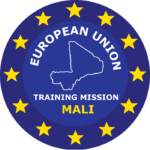 The trainees were formed in International Humanitarian Law and Human Rights by the experts provided by the EUTM Mission Head Quarters (EUTM-MHQ), in order to ensure that these officers know and comply with international regulations and laws. 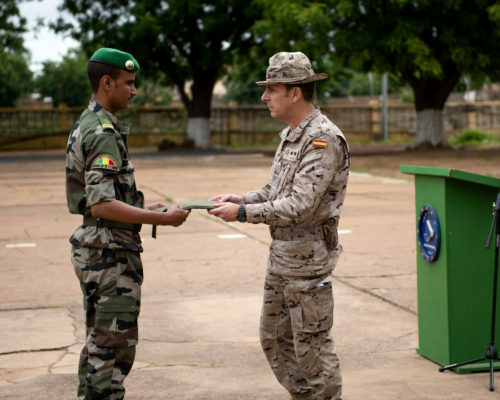 The effort performed by the trainees has been monumental, spending countless hours studying and preparing exercises. Nevertheless, their spirit never flinched; they hold their ground and, for the vast majority, succeeded the course even though many of them had not any previous training as infantry commanders. Hopefully, these newly trained officers will help to improve the already high standards of the MaAF and protect their population against the threats that could arise.